Anybody who has thought of re-designing anything will generally want it to be an improvement on what was already existing. The goal of redesign is always to make something more beautiful, more efficient—better than it ever was—and not the opposite. That’s why plastic surgery is so popular. But that’s another story. 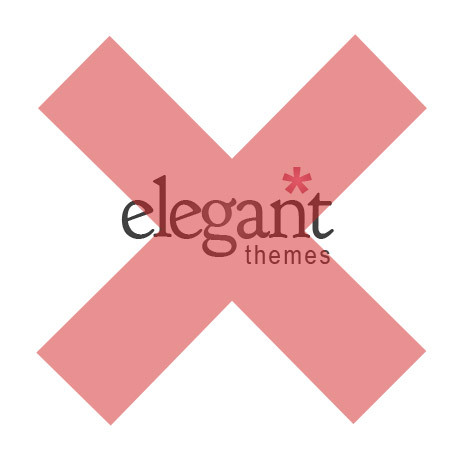 Elegant Themes had a website “facelift” recently. The homepage is now sporting a cleaner and more modern look. The new design opted for an introductory block above the fold giving a brief description of what the site is all about, statistics about the number of themes and customers, and also adding two call to action buttons right away. It’s a great improvement from the old design but perhaps the name of the site found in the center of the page could be a tad smaller and maybe a preview of the latest them could also be featured above the fold. The deliberate narrowing down of the number of buttons to click is a great way to direct first time visitors around the site. How this affects conversion has yet to be seen. On the other hand, returning customers already know it is Elegant Themes’ website and might appreciate a “latest theme” featured above the fold straight away. Perhaps a design compromise can be implemented in the next version to address that need. The filterable gallery is a pleasure to use. Navigation is easy and themes are filterable according to theme type. Click on any theme and it takes you to a page of its own complete with a slideshow of the theme’s demo images on a mock iMac. The prominently placed subscription price and the two call to action buttons do not distract but is a subtle and tasteful encouragement to go ahead and make the purchase. The jewel toned color palette is easy on the eye – subdued but very stylish and sophisticated. These color choices deliberately sprinkled throughout the site serve as visual cues subtly directing users where to go and what to do. 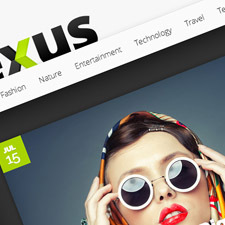 Overall, the color scheme embodies what Elegant Themes is all about – simply elegant. The Contact Us page is clearly delineated between current members and prospective customers. One little thing that would be worth thinking about is the use of the term “Prospective Customers”. It assumes that everyone else who wants to contact them is a prospective customer which might not always be the case. Overall, it’s a great redesign and perhaps a responsive version is in the making. Not perfect but definitely notches above the previous one. 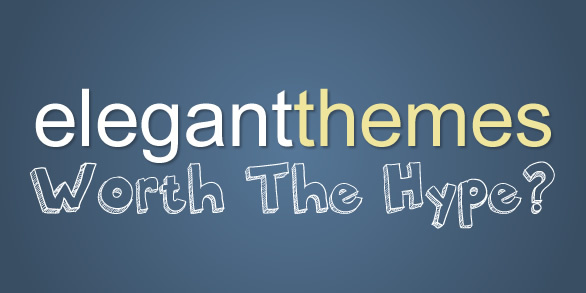 Elegant Themes now has a more current look that truly represents its brand and the excellent service it provides its thousands of satisfied customers. Kudos.